Ramki (Ramakrishna Potluri) has about 18 years experience in the industry including 14 years in managing ERP implementations & Product Management. Ramki did his graduation in Mechanical Engineering from JNTU, Hyderabad and is an MBA in Finance from XLRI, Jamshedpur. He started his career in procurement function at Eicher, a leading Automobile company in India, and then moved on to pursue his MBA. During his consulting stint with IBM andSAP, he worked closely with many large customers in transforming supply chain management processes using SAP applications. He provided his expertise to global customers across verticals e.g. retail, Oil & Gas, Public Sector, Chemicals, Pharma, Airlines, FMCG and Utilities. Prior to IBM, Ramki worked in Product Management area for Ramco Marshall ERP application. He is currently product owner for SAP Supplier Relationship Management application. and has been involved with many customers as trusted advisor in APJ region as Head of SAP SRM Regional Group. 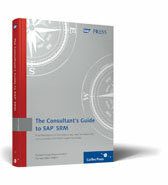 He co-authored a book on “SAP SRM - Consultants Guide’ published by SAP Press. Ramki is an active Rotarian involved in Children Education, End Polio initiative, Promoting Solar Electricity in rural areas and Tree plantation activities. He is proud to serve as President of Rotary Bangalore Lakeside in the year 2012-13.